Here at Victor Auto Body Works of Middletown, CT -- minutes from Plainville -- we offer a full range of mechanic services for your vehicle. Is your car making a strange sound that you’ve never heard before? Or maybe your car is acting funny, don’t leave it to chance and ignore it, come see us with your concern and if there is a problem you can rest assured that we will fix it in a timely and affordable manner. Not convinced yet to make us your mechanic of choice? On top of quality services and fair pricing, we also offer 24 hour complementary towing services. You never have to feel stranded again. Even if you’re on your way home at 4:00am and your car breaks down, give us a call at (860) 346-8800 and we’ll send a truck over for you no problem. 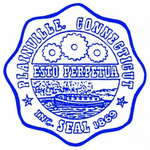 Come on down to our shop today, right around the corner from Plainville , at 590 Washington Street, Middletown CT or give us a call at (860) 346-8800 so we can help!